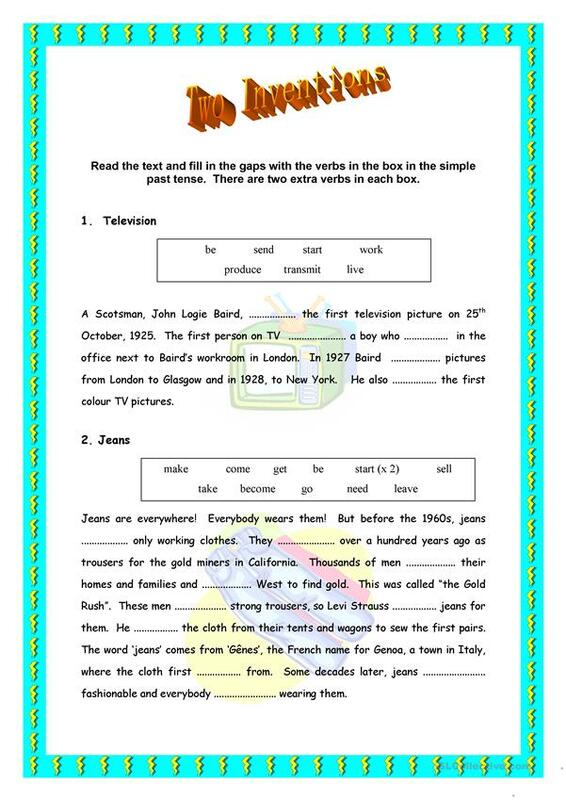 Students fill in the gaps with the simple past form of the verbs in the box. Extra verbs make the activity a little more challenging. This downloadable teaching material is intended for business/professional students, high school students, elementary school students and adults at Elementary (A1) and Pre-intermediate (A2) level. It is great for consolidating Past simple & continuous tense in English.